Disclosure #1: As we write this post, in which we intended to rant about old Hollywood portraying Canada as a vast sheet of snow and ice, we realized that outside our window is, for now, a vast sheet of snow and ice. So, er…never mind. Disclosure #2: Our favourite Canadian historian is Pierre Berton (1920-2004). Berton was an outspoken, witty and passionate advocate for Canada and Canadian history, and author of over 50 books. We have two personally-autographed volumes and an almost cult-like admiration for his work. The one book we wished Mr Berton had autographed for us is Hollywood’s Canada: The Americanization of Our National Image. This volume examines Classic Hollywood’s portrayal of Canada, and we regret not having it with us when we met him. He also details Hollywood’s avoidance of the word “Canada” in film titles; instead, Hollywood used a coded language, e.g. “North” or “Great Woods” or “Big Snows”. The irony here? Canadian history is much more fascinating than classic Hollywood’s portrayals. The film Saskatchewan (1954) compared to the real Saskatchewan (R). He playfully describes Hollywood’s odd (read: imagined) geographic view of Canada, while he himself describes the Canadian landscape in vivid, poetic language. His descriptions of the real Canada is infinitely more beautiful than advertised in old Hollywood films. Additionally, First Nations, Métis and French Canadians were portrayed as unvarying stereotypes. Now, you could argue Hollywood distorted the histories of many countries, including its own. Canada should not have expected anything different. But one might hope for something different. 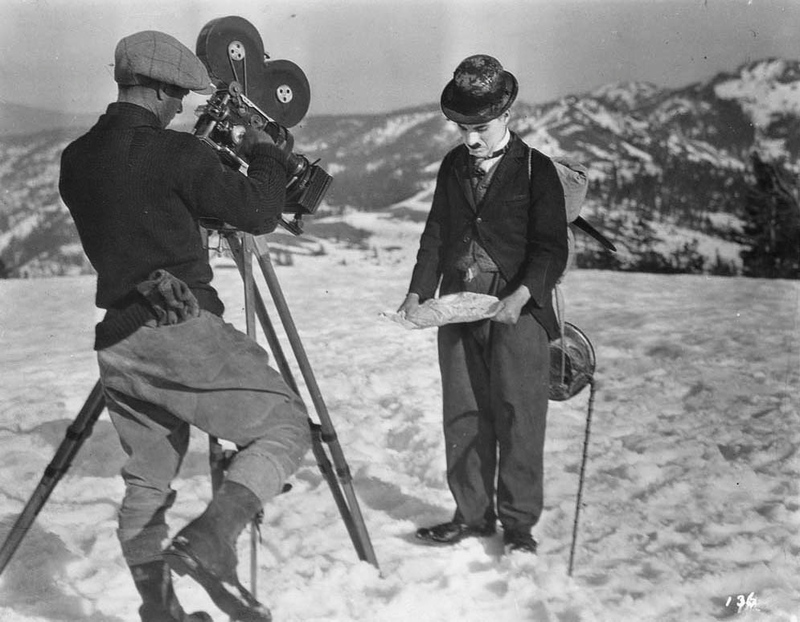 After all, in a 50-year period, nearly 600 films about Canada were produced. 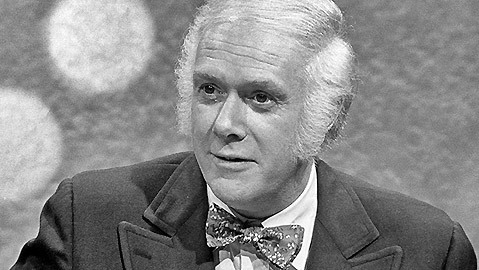 Author Pierre Berton and his ubiquitous bowtie. Image: Civilized. Hollywood’s Canada is a rather caustic look at Hollywood from a critical outsider. Berton’s research included newspaper and industry magazine articles, telegrams, interviews, and hours of watching film. Indeed, this book almost serves as a dual history of Canada and Hollywood filmmaking. But, as Berton points out, Hollywood can be blamed for only so much. Berton, Pierre. 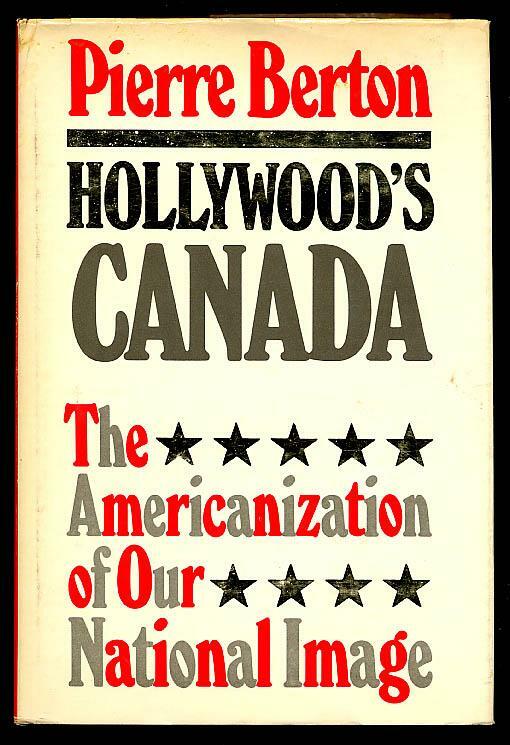 (1975) Hollywood’s Canada: The Americanization of Our National Image. Toronto, ON: McClelland and Stewart Limited. Next Why Do We Have the Oscars? I’d never heard of this book (shame on me), but it sounds like one I really ought to pick up. Many thanks for info, Ruth, and for making it so amusing! It’s a truly interesting book, whether a person is Canadian or not. A lot of great info here. All Canadians owe a debt to Pierre Berton and his work. Although, every time I think of him I go to the time on Saturday Night at the Movies when Berton told Elwy Yost that he hated John Ford movies. Poor Elwy was gob-smacked! So was I! WHAT?! Pierre Berton didn’t like John Ford’s movies? NOOOOO! I’m gob-smacked myself! You have to admit though, the Hollywood version of Saskatchewan does look a lot more spectacular, with the mountains, the forest and the Mounties in their fancy red tunics. Does the book only deal with Hollywood? Because British cinema occasionally used Canada in a similar way, as a setting for adventure and excitement. Although P&P’s 49th Parallel seems like a serious attempt to portray a realistic version of Canada in all its diversity. I totally agree the Hollywood “Saskatchewan” is breathtaking, but the real Saskatchewan is beautiful, too. To answer your question, yes, the book does only deal with Hollywood. There is brief mention of P&P’s “49th Parallel” – a film I love – but the book is dedicated to examining Hollywood films. I HAVE to read this book! I’m ashamed to say I’d never heard of it, or Pierre Berton – but better late than never! I absolutely loved this post. I’ve read time and again that as a country, we Canadians have no national identity, no culture, etc, and I’ve gotten the feeling more than once that we’re considered no more than a watered down version of the United States, at best – except we’re apparently nicer and apologize more – the doormats to the North, I guess. Pierre Berton’s books seem like a good place to start to explore our country, our history, and who we are as a nation. Haha! I love your phrase “doormats to the North”. I highly recommend Pierre Berton’s books. Some are better than others, but “Hollywood’s Canada” is a good one. I also really enjoyed his two volumes on building the CPR: “The National Dream” and “The Last Spike”. One thing I notice about Berton is he seems to find history’s interesting characters and he spends time fleshing out their personalities. Also, I just ordered his last book, “The Joy of Writing” which appears to be a handy writing guide. Sounds like a wonderful book and great history! Since my own knowledge of Canadian history is not what it should be, it sounds especially good in how it combines history of Canada with Hollywood film making. It is a terrific book. It certainly covers a lot of territory! I learned a lot…and I call myself a Canadian! Sounds like a really interesting read! It’s always nice having someone set the record straight! It’s a really good read. Pierre Berton is an accessible, lively writer. He never makes his subject seem dry. It should be no surprise that the Governor General’s History Award for Popular Media–the yearly award given to the best book or document on Canadian history written by a living person and intended for the general public–is also known as the Pierre Berton Award. It’s sponsored by _Canada’s History_ magazine. I didn’t realize who sponsored the Pierre Berton Award (read: I was too lazy to investigate), and it makes sense that it would be Canada’s History. I just went onto their website…and I think I’ll be spending the morning there. Thanks! Wow, that book sounds fascinating! And it’s curious because I’ve been talking about the representation of Brazil in Hollywood with Theresa from the CineMaven blog. I see accuracy was never a goal in Hollywood, but some mistakes and liberties – like the one with Saskatchewan – are too much! Oh wow, I have to read that book! And I am amazed that 600 films about Canada were made….off the top of my head, I think I can name only 20 titles ( five of them being Disney films ). I imagine Hollywood attempted to Westernize Canada ( landscape and plotlines ) simply because they thought Americans didn’t know any better and – loving westerns – didn’t care! Last week I saw the first film in the popular German western “Winnetou” series and was amazed at how well they managed to portray the Western American landscape until I white chalky mountains in the distance ( the movie was filmed in Croatia ). Close but no cigar! But I’m sure Germans didn’t know the difference. Yup, apparently about 600 films were made about Canada starting in the silent era, until the 1950s. I may be a bit more informed than most of my neighbors this side of the border, Ruth, thanks to my Uncle. He was sure to point out any such inaccuracies whenever we watched movies together. I’m smiling as I write this because in his youth, Uncle worked in logging. He literally rode logs in the river breaking up any jams. His was a life made for old time Hollywood! Hooray for your uncle! So glad he was there to keep track of inaccuracies. It certainly does sound like his life would make for a thrilling movie. I bet he had A LOT of stories. I read _Hollywood’s Canada_ myself back in the day. The mistake Pierre Berton seemed to make with this book is being 50 years ahead of his time in his portrayal of how the American (as in _the US of A_ and no other country) motion picture industry treated Canada and Canadian society: “…everything is right (i.e. the physical artifacts shown in the movies replicate those actually used during the period) and everything is wrong (i.e. 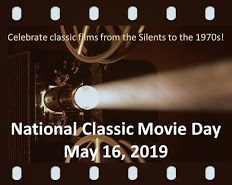 the sociological portrayal of Canadian society in these motion pictures does not correspond at all to what Canadians were actually like).” As a sociologist by education (M.A. in sociology from the University of Alberta, convocated for it in November of 1997), that incorrect portrayal is the only thing that matters to me. And rightly so! Being an expert in the field, it must drive you crazy to see Canadian history misrepresented in film…especially when the real stuff is so interesting. This sounds like a good read, but I just really, really want Margaret Atwood to write a film criticism book now. Yes! Me too! Fab idea. I want that! I just took her Masterclass on writing and it was a-maz-ing, because why wouldn’t it be.